It’s not often you come across a fat burner which boasts 9 clinically backed ingredients. But that is exactly what Genius Burn claims to have done here. 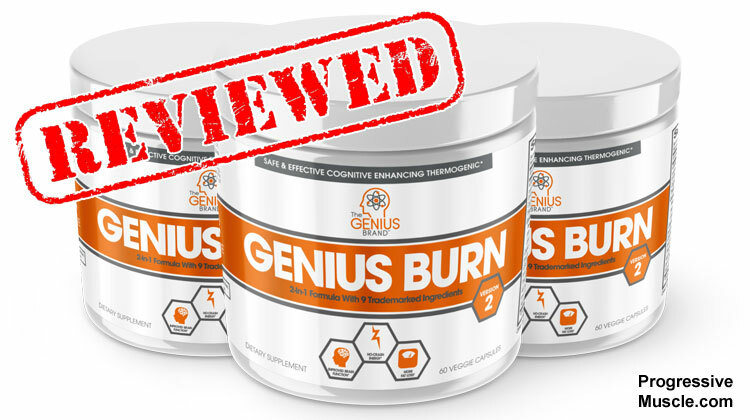 The Genius Brand say they have scientifically researched every ingredient and produced a supplement that is effective at burning fat and boosting brain function. This certainly got my interest; if their claims are true then everyone should be taking this on a regular basis! Let’s take a look at the Genius Burn in a little more detail. That’s an impressive list of claims; let’s see how they really stack up by looking at the science behind the nutrient formula. Is this a Jack of all trades or master of none? This formula is better for cognition than fat loss. 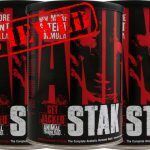 Despite what the Genius Brand say on their website this formula contains two proprietary blends, iFAS503 and AstraGin. So this is not a completely transparent label; because of this we don’t know if there are active doses for 5 of the nutrients. Overall this formula is far better for cognition than it is for fat loss. It does have two great thermogenic nutrients though; both of which are proven to support fat loss. 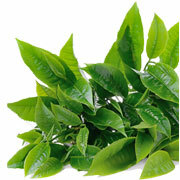 These are Camellia Sinensis (Green Tea) and Capsicum Extract (chili). Unfortunately both are severely under dosed, so you are unlikely to see any benefit. On the cognition side there is a nice dose of ashwaganda while it also contains some top nootropic ingredients Citicholine (under dosed) and L-Theanine. While Huperzia serrata is certainly a proven nutrient for focus it has been linked to unwanted side effects and the fact that it is easy to build a tolerance to means its effectiveness long term is limited. For energy they have used a small amount of Theacrine which isn’t as effective as caffeine but it does mean you don’t need to worry about your additional cups of tea and coffee during the day. 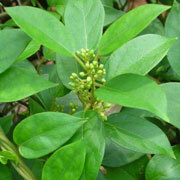 The rest of the nutrients are largely unproven for fat burning like Gymnema sylvestre and aframomum melegueta. One thing they definitely left out is a dedicated appetite suppressant. 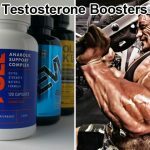 Essentially this formula is a poor fat burner combined with a mediocre brain supplement. This is essentially green tea. A powerful thermogenic which contains a specific type of anti-oxidant known as catechins. These are known to promote the fat burning hormone norepinephrine. The more of this hormone you have in your system the greater support your body will have for overall fat burning. While this hormone is great for fat loss you need to be consuming at least 500mg of green tea to see the benefits and this is only a small 125mg proprietary blend. So while it is an excellent nutrient you are unlikely to notice any difference with the small trace amount here. Also known as Fallopia multiflora this flowering plant won’t help with fat burning but it can help with blood circulation and blood flow. This is due to the Resveratrol it contains. While it may help you absorb the other nutrients at a faster rate you won’t really notice any difference. Also known as Mulberry Mistletoe or Sang Ji Sheng. This herb has been used in traditional Chinese medicine for a long time and has been seen to be beneficial for stiff muscles and bones and treating aches and pains of the joints. This is potentially a nice supporting nutrient but it won’t do anything for your waistline. 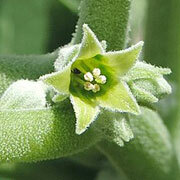 There is no link between the herb ashwagandha and fat burning. However, research does show that it is effective at reducing the level of cortisol in your body. Cortisol is the stress hormone. When you experience high levels stress either physically or mentally then levels of this hormone will sky rocket. This can lead to a variety of health issues that will distract you from completing your exercises to your full potential. So while it may not directly help fat burning but it does have the potential to give you a cognitive boost. By reducing your cortisol levels, you should be able to focus and concentrate better improving your gym sessions. This natural substance is often referred to by the Chinese as Kucha; a type of tea. 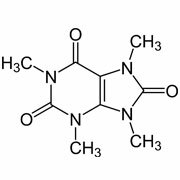 It does have similar properties to caffeine but it is not believed to be as potent. While this may mean that you do not experience the highs and lows of a caffeine energy boost it is also possible that it has a negligible effect on your metabolism. More research is needed before this should be added to a fat burner. It’s not the best choice. This is another ingredient designed to boost your cognitive function. It can help you to focus more when working out and therefore help you to burn more fat indirectly but it is not a fat burner in itself. Interestingly this is a clinically backed nootropic which means it is usually used as a brain supplement (cognitive enhancer). It is a synthetic version of Citicholine which is found in every cell of your body and is vital for continued brain health. This may enhance your focus, concentration and memory but it won’t necessarily help you burn fat. We would say though that 100mg per serving is on the low-side however considering the best nootropics use optimal dosages of 250mg. Research suggests that this tropical vine is capable of helping you control your appetite and reducing blood sugar levels. Although more of a supportive nutrient it does have some potential to be included in this fat burner. After all, lower blood sugar levels means less insulin which decreases your body’s need to store fat naturally. Lower insulin also reduces the potential of developing diabetes in the future. However, research is still in the early stages; much more is needed to be done to ensure these effects are genuine. Certainly this is not as effective as a direct thermogenic nutrient. 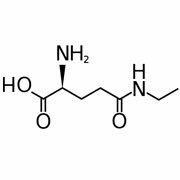 Another nootropic, this amino acid has been seen to reduce anxiety & promote focus. Studies have shown that this is a good choice for improving cognitive function; so yet another ingredient that will help you to focus on your workouts. It can affect brain chemistry as it is able to cross the blood brain barrier. It will help you to relax without causing sleepiness; ensuring your ability to focus on the right task. It does this by promoting the relaxation hormones dopamine, serotonin and GABA. It can also help reduce some of the side effects from stimulants allowing high energy without the jitters. Although a nice addition, it is not going to get you a leaner physique directly. 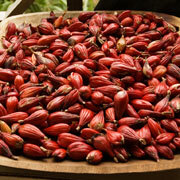 You may hear this referred to as ‘Grains of Paradise’. 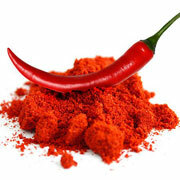 It is an herb commonly used in African cooking to give the meal an extra spice. You might be surprised to learn it is part of the same family as ginger. This means it shares the same ability to improve your digestive system and help you to absorb nutrients faster. Of course, this is not the same as fat burning. However, the most recent research indicates that Paradoxine may be effective at converting white fat cells into brown ones. Brown fat cells are the ones which are activated when you are cold and help to keep your body warm; burning calories in the process. This can increase your weight loss but will only be effective if you are often cold! At the moment these claims are based entirely on one small single study so obviously a lot more research is needed. So while it may be a nice supporting nutrient it is not the most effective addition to this formula. This thermogenic is a great addition to Genius Burn. Capsaicin is the ingredient that makes chili hot and as you may well know from personal experience spicy hot food causes your internal body temperature to rise. Your body naturally reacts to cool itself and in the process burns far more calories than it would normally do. This boosts your metabolic rate and increases your body’s ability to burn fat; even if just for a short while. It has also been suggested that this ingredient can help to suppress your appetite; preventing you from over eating in the first place. The dosage here is a tiny 25mg per day, the optimal amount for this thermogenic is around 100mg. This is actually a proprietary blend made up of two compounds, ginseng and astragalus. These are both considered to be good at boosting nitric oxide levels in your body. Nitric oxide is essential for the dilation of your blood vessels. This increases the flow of blood and nutrients round your body; helping your muscles and organs to have the oxygen and nutrients they need. While this is great for improving your strength during a workout it does not have a direct effect on your fat burning abilities. The best it can offer is an increase in your absorption rate for the other ingredients in Genius Burn. The final ingredient on this list is not a great choice. It is another cognitive enhancer and not a fat burner. In fact research shows that this herb has a direct effect on your ability to recall things. 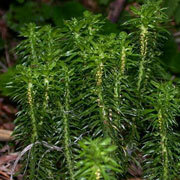 The active chemical is Huperine A which is taken from Chinese club moss found in India and Southeast Asia. Genius Burn is not lying when they say it is clinically backed. However clinical studies show that the cognitive effects are limited due to tolerance levels. Your brain will quickly build a tolerance to this supplement; rendering it useless long term unless you continually increase the dose! Also worth noting is that Huperzine A has been linked to several undesirable side effects which we will cover soon. Genius Burn recommends that you take 1 capsule one to three times per day. The best fat burners are designed to be taken 3 to 4 times a day. So Genius Burn are giving you a lot of options here, but anything less than 3 is not really going to be very effective. Unfortunately with 3 servings a day one box is only going to last you 20 days putting the price up. They could have at the very least given you 90 capsules. 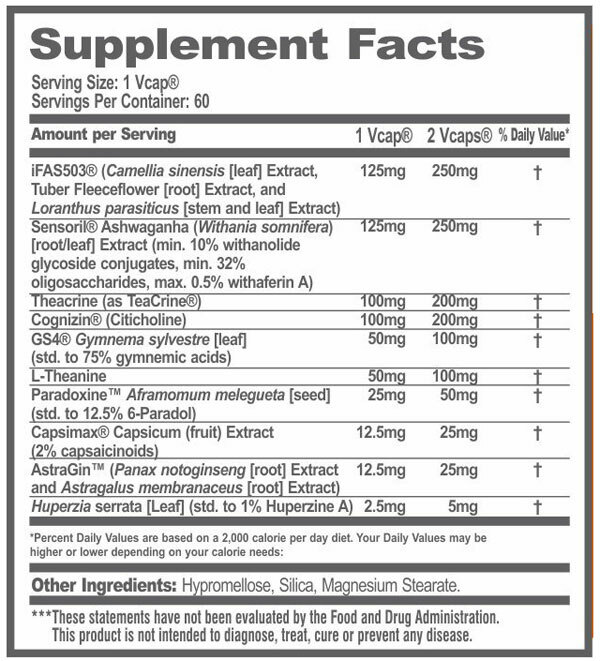 Nearly all of the ingredients in this fat burner do not appear to give any issue. These are not things you want when you are trying to lean out. What makes this most annoying is that Huperzine A really belongs in a nootropic supplement not a fat burner. The potential side effects are therefore completely unnecessary for your fat burning goals. 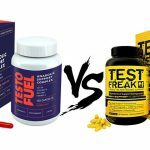 The inclusion of the thermogenics green tea extract and capsicum are both good choices with clinical studies showing they boost your fat burning abilities. The problem here is that they don’t contain active doses. The green tea is hidden in a proprietary blend that is smaller than an effective dose. While the Capsicum is clearly under dosed. There are several ingredients which are designed to boost your cognitive function. The assumption being that this will help you exercise more and burn fat. These ingredients may certainly help you focus more, but they won’t burn fat directly. Although the ingredients are researched and clinically backed. 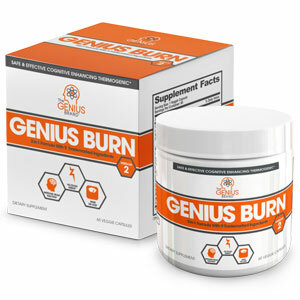 Genius Burn is missing some of the best fat burning ingredients that would really increase its performance. Adding in Green Coffee Bean and Caffeine would really ramp up your energy levels while boosting your metabolism. The addition of an effective appetite suppressant like Glucomannan would also make this a more well-rounded fat burner. The bottle claims not to have any proprietary blends yet there are two called iFAS503 and AstraGin. Essentially then there are five ingredients we do not have the dosages for. Clearly there are not active doses for the green tea and the rest we don’t know. Proprietary blends are a big negative. You’ll also note that there are several ingredients that are not all that effective in the fight against fat. 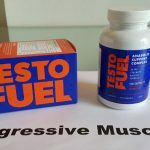 Even with the level of research that has been put into this product there are too many ingredients which are not fully proven to support your goals such as Theacrine, Gymnema sylvestre and Aframomum melegueta. The serving schedule is a mixed bag, you either take 1 to 3 servings a day. 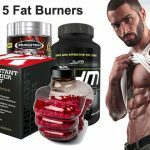 The best fat burners are designed specifically to be taken 3 to 4 times a day to keep you in fat burning mode around the clock. Whilst 3 times a day is the best option with Genius Burn, they only give you 60 capsules so it’s only a 20 day supply. Dropping down to the 1 or 2 servings a day is less effective and may not give you the results you want. The addition of Huperzine A is a potential issue because of its links to unwanted side effects. Nausea, vomiting, diarrhea etc. are not something you should go through to get a leaner physique. Besides this isn’t even a fat burning nutrient it is a nootropic and thus unnecessary. What are people saying about Genius Burn? There does not appear to be any testimonials on the Genius Burn website. This doesn’t mean it is ineffective, after all most people question the validity of testimonials on your own site. A look at Amazon presents a good picture. Genius Burn has in excess of 1,200 customers and a star rating of 4.4. Most of the reviews and feedback are positive, stating that they have lost weight and yet they all feel a little clinical. There is none of the simple and generally useless one liner’s which are genuine if not helpful. Instead every review extols the virtues of Genius Burn across two or three paragraphs. While I want to believe that these are all happy customers you have to wonder because the reviews are surprisingly similar and the review of Genius Burn doesn’t back up these reviews. The fact that over 200 people have placed critical reviews also suggests that the star rating is being artificially propped up with dubious quality reviews. The Genius Brand should make a choice. 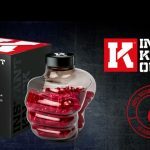 Is this a fat burner or is it a nootropic to boost brain function? While it does neither to a high level, the cognitive enhancement element of this supplement is far better than its ability to sizzle fat. 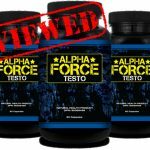 I am presuming you want to burn fat and retain muscle in the most efficient and effective way possible? If so then don’t use Genius Burn. The bottom line is that this is not a genius solution to fat burning. While there may be 9 clinically backed ingredients not all of them are effective for burning fat. While others need more research before being added to a supplement. Despite some enticing claims the reality is that there are better options on the market to help you get a lean physique.